Well Parma is just waiting for the season to end, they have been relegated a long time ago and here against Empoli they will loose also. 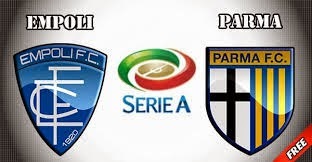 Empoli have played good this season, presently 15th in the league on 33 points, they won't get relegated with the way they have played, they won 3 of last 4 home matches and they should use this match to get better placed in the league . First encounter between them this season Empoli won 2 : 0 now they play at home i expect em to win by a better margin.